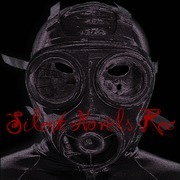 Silent Novels Rec is very small individual label. Please read the rule on my official page. Topics: Jazz, Breakbeat, IDM, kolben, Experimental, industrial, OneTooFreeFor, silent novels rec. Topics: Grind core, Punk, Loud punk, Death, Screaming, Silent Novels Rec, Abstract, abstract-noise rec.